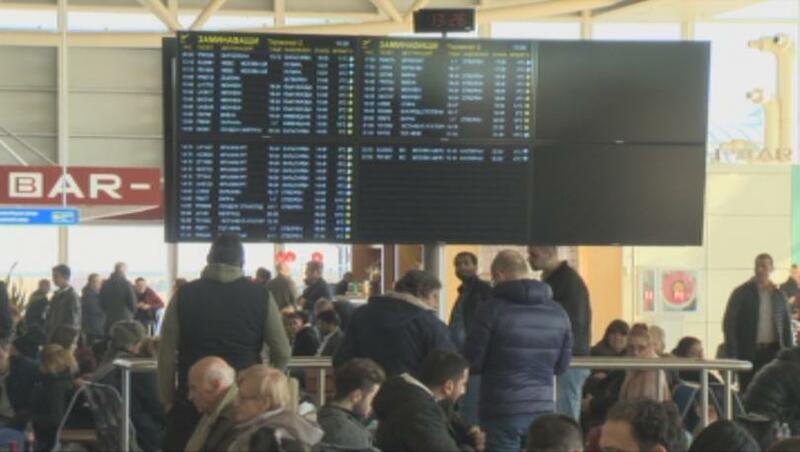 More than 150 people were stuck at Sofia airport for 12 hours. The reason was a long delay to a flight to Barcelona. The airline explained to the passengers that weather problems forced the plane to wait for hours to depart from Jordan. The plane from Sofia to Barcelona of the low-cost airline had to depart at 6:30 am. Half an hour later, however, passengers received e-mails that the flight would be delayed. Since then, the departure time has changed several times, leaving dozens of worried people in front of the information boards. Sandstorm is the cause of the long delay. This is the only explanation the waiting people received. Some complained that they missed connection flights and were worried they would have to spend the night at Barcelona airport. The flight eventually took off shortly before 18.00. Many of the passengers said they would seek compensations.